I could feel something cold and wet underneath me. I didn’t have my glasses on, so I really couldn’t see. But I could smell blood. I haven’t worked as a nurse in years but I am still able to identify that stench. My vision was blurry but the familiar sounds of heart monitor and blood pressure machines helped me realize I was in an ER. Luckily I remembered passing out so I wasn’t alarmed to be waking up in a hospital. I could sense someone was in the room with me. Then I recognized it was a nurse. He told me his name and said the doctor would be right in to talk to me. I asked him what day and time it was; he said it was 6am Saturday morning. As the nurse changed my bloody sheets and bed pad, I asked if my husband, Tommy, could come in. He said there was no one in the waiting room but he would keep an eye out for him. A doctor entered the room and introduced himself. He explained they really didn’t know what was wrong with me. 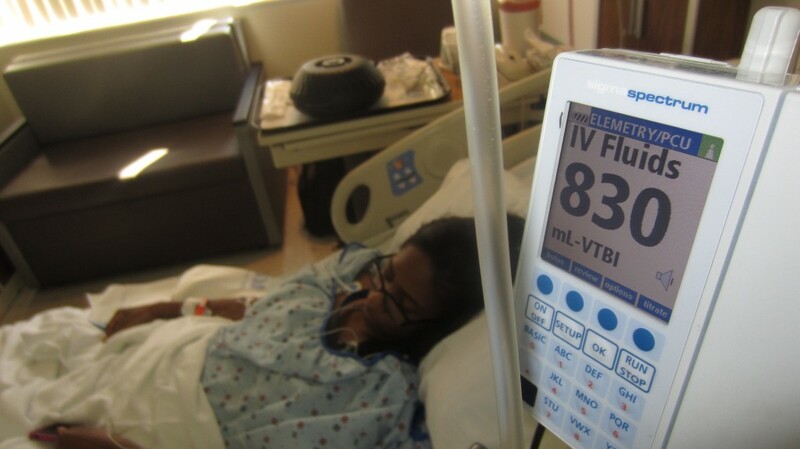 My blood pressure had dropped dangerously low and I was bleeding in my catheter. I asked him when he thought I could be released? He said if everything went well, I could go home maybe by Sunday. I am sure I sounded like a crazy person but all I could think to say was, “But I’m seeing Oprah today!” He laughed and said she would have to wait until I was doing better. When the doctor and nurse left the room, I was all alone with my thoughts. I began to feel helpless. I didn’t have my phone, my purse, my ID, my glasses, and no one knew where my husband was. But then suddenly, I began to think about all the things I learned and the inspirational people I met at the event only hours earlier. 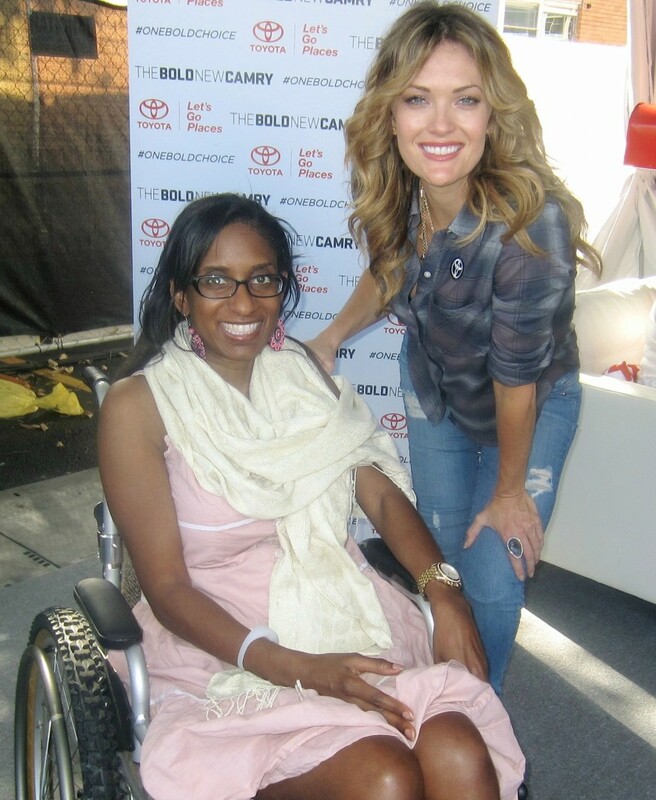 I thought about Amy Purdy who had both of her legs amputated below the knee. She became a Paralympics athlete and competed on Dancing With The Stars. She didn’t give up. She stayed strong. I told myself, “If she can do it so can I”. And guess what? Thinking about her, made me feel better. A few minutes later, the nurse came back into the room and said my husband had arrived. I later found out Tommy had gone to the wrong hospital. EMS told him to drive and meet me at a hospital near our hotel but that hospital turned us away because of a shift change. So I was taken to a different hospital. Tommy drove to the original hospital and once he got there, the ER had no record of me being admitted. So from 3am to 6am, he was trying to locate me. Thank goodness he finally did. I was so happy to see him. He also remembered to bring my eye glasses and purse. After signing my release papers and getting dressed, Tommy helped me to my feet. As soon as I stood up, everything went black. I passed out. When I gained consciousness, the first thing I could see was Tommy signing my readmission papers. He then told me, I was going to be moved from the ER to an assigned bed in the hospital. Once I heard that, I knew my short hospital visit had turned into an indefinite stay. To make things worse, while waiting, the bleeding started again and I began feeling light headed. Once transferred into a room, things were a little more comfortable. My Saturday and Sunday were filled with friends visiting all day. A couple even stayed overnight. By Monday, I was ready to be home. My bleeding had stopped and everyday after that I was told I would probably leave the next day. It was always something that prevented them from discharging me. Monday my blood pressure was too low. Tuesday my heart rate slowed down too much. Wednesday my blood count was off target and I was given 2 units in a transfusion. My release was also based on my ability to handle the six-hour drive from the Houston hospital to my home in New Orleans. Finally Thursday, I was feeling great and everything seemed to be back to normal. They gave me one last check then I was given the all clear. We drove to New Orleans Thursday night and I was so tired after the ride. 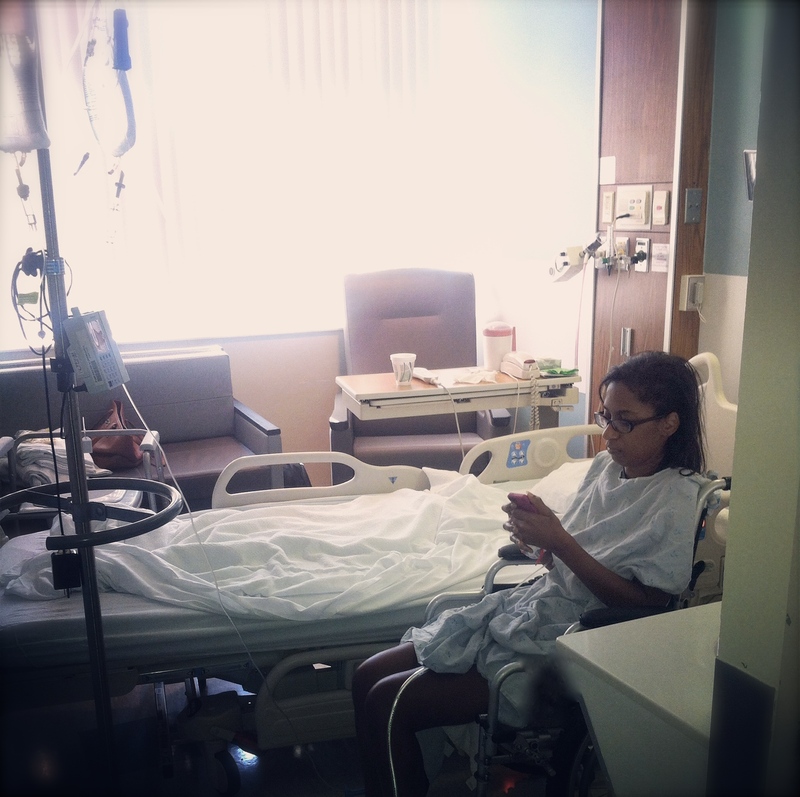 I was in the hospital from Friday to Thursday and they still don’t know what was wrong with me. But overall, if I had a chance to do it again I would. Because the good that happened on this vacation outweighed the bad. What an adventure! Your willingness to stay positive is inspirational! I do hope they figure out what the problem was and that it will be corrected soon. This definitely was a roller coaster ride but glad you met inspirational people ! It is amazing to me the difficulties we face one day seem to fade with time and even though it can reoccur one can be refreshed with time and love . I can’t express how much I appreciate you and your candor! Thank you so much for sharing Nicole. You certainly had to practice a lot of patience. I admire that in you! Glad to hear you made it home. Oh my. I hope your recovery is swift and uneventful and that they find out soon what is going on. I’m so glad you for positive, inspirational spirit Nicole. But I’m kind of like, geez, is a little break too much to ask for???? You go through so much and it just seems unfair! But I’m thankful and grateful that you share your journey with us. We can learn a lot by how you tackle the things that get thrown your way. Hang on to that spirit dear friend! I am so sorry that you had to go through all of that. Maybe Oprah will send you some inspirational materials if you write to her. It is worth a try. I know how much you wanted to see the rest of her program. I hope you heal completely and are feeling better. We are praying for you Nicole, and your husband too. You are an inspiration to me. And you seem to have taken this little issue very well. Best of luck to you. Get well soon. I’m so glad you’re okay, although I find it scary that they still don’t know what was wrong. I’m glad you still had enough good in your vacation to outweigh the bad! God Bless You, Nicole! Through it all you are one strong lady. Thank you for sharing with us. I hope you are feeling well now.